Autumn is the best time for a train ride! 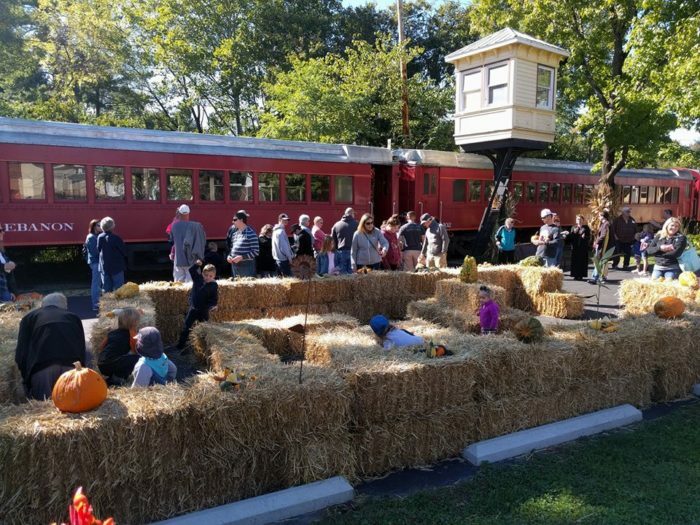 Take a relaxing ride with your family aboard the LM&M Railroad’s Fall Flyer. Enjoy a pleasant 1 hour and 15-minute journey between Lebanon and Hageman Junction. During the journey listen as our uniformed conductors tell you the history of the Cincinnati, Lebanon, and Northern Railway. At the station, we will have a small hay maze FREE for younger children. The Black Barn, a local greenhouse and farm market, will have shop on-board selling apple cider, pie, caramel apples, and more! The shop will be located on-board the train in car 104. The Black Barn is CASH ONLY. Ticketed passengers will receive a FREE pie pumpkin grown by The Black Barn. Ticketed adults and seniors will receive a FREE LM&M Railroad tote bag. The pie pumpkins will be available in our station area. Children will be able to decorate their pumpkin before or after the train ride in the station area. Passengers must show their train ticket to the attendant to receive a pumpkin. Before or after your train ride be sure to visit Lebanon’s historic downtown. Places to eat include the famous Golden Lamb and Lebanon’s own classic, The Village Parlor. Be sure to check out The Golden Turtle Chocolate Factory and the Warren County History Museum. Free parking is available one block north of the ticket office on a public lot. Ride on OCT 14 and experience Lebanon’s Oktoberfest! The festival featuring beer, food, &, and fun will be held two blocks north of the railroad on Mulberry Street. This is a fun event you will not want to miss. Visit this page for more information on Lebanon’s Oktoberfest. Changes for 2017: The Fall Flyer will feature reserved coach seating. Adults and seniors will reveive a tote bag in addition to a pumpkin. Pumpkin decorating will be available in the station area.